We have had a number of queries regarding telecommunication connections at Mullum Creek. In response, we have spoken to Matt Kendal at Verve Project Management to try and get a clearer picture of what the state of play actually is. Matt tells us that this problem is common at all new subdivisions. Whilst pits and conduits have been correctly installed as required at Mullum Creek, the NBN is responsible for actually installing cables etc that will allow individuals to connect to it. The NBN is notoriously slow, but if owners exert enough pressure on it, it will ask Telstra to organise a temporary connection until roll-out occurs in the area. We are not sure what form this temporary connection will take, but are informed that ADSL is a superseded technology and no new assets of this form are being installed. Unfortunately, neither the project managers (Verve), nor the DRC can organise this, it is up to individual customers to call NBN or Telstra to ensure that they have suitable telecommunication services. Is it FSC certified? Where was it sourced? Does it have CCA treatment? Does any of it matter? Why bother? Understandably, questions like these arise when environmental developments seek to do things differently. 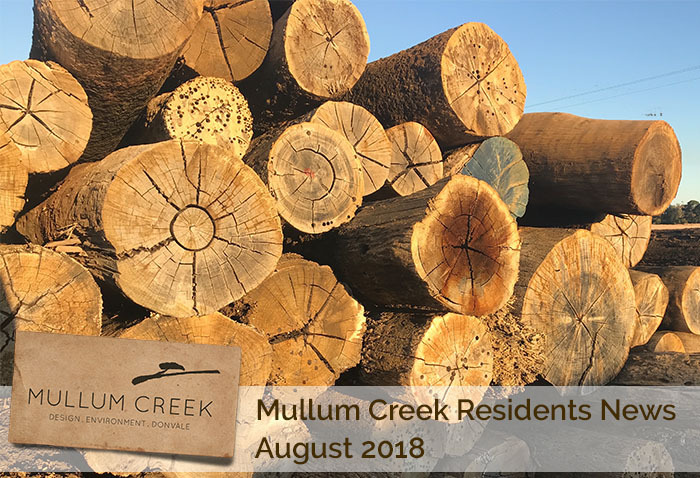 Lately at Mullum Creek timber has been a central topic of conversation. And while our Guidelines highlight its value as a low-impact, renewable resource, our motivation to diligently keep on top of timber selection is to make sure that the timber we use is as environmentally AND socially responsible as possible. Simply put, we don’t want to be using trees which came from Sumatran rainforests for our decking and contribute to homeless orangutans. Why buy FSC certified timber? 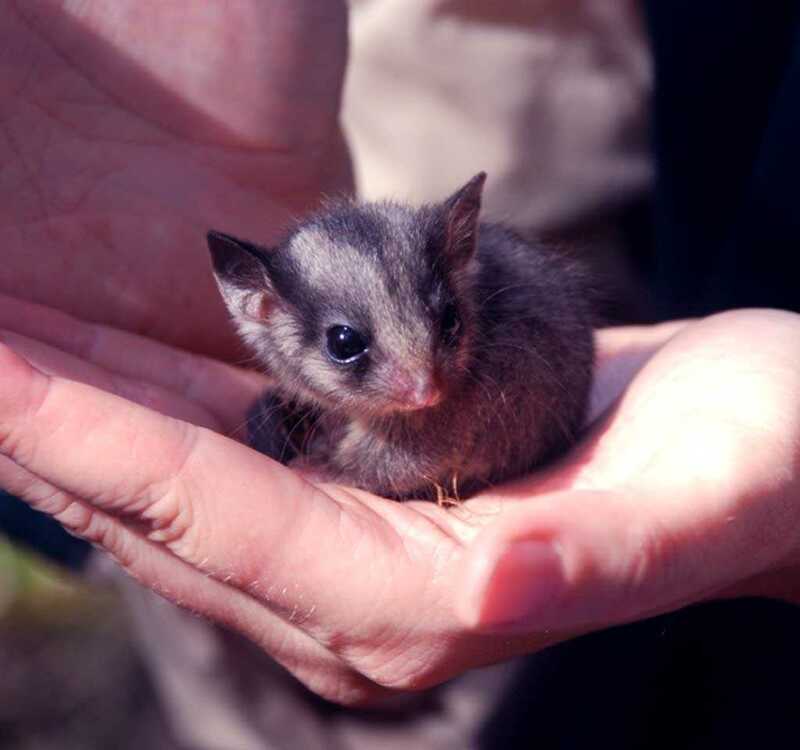 Because it is the best standard we have for timber sourced in Australia, where we can be reasonably confident that FSC standards are rigorously applied (see our Feature Article below for an example of how the FSC helps to keep the logging industry in check) and well audited. However this FSC standard is not equally reputable world wide. For example the Environmental Investigation Agency recently investigated alarming forestry practices in Peru, under the banner of an FSC certified organisation. Of particular interest are pages 32-33 which highlight the dubious practices of Grupo Bozovich, the company that supplies the Cumaru currently available in Victoria. It would be devastating to find out your floors came from an ancient Amazonian forest, illegally logged to make way for cattle grazing land or a palm oil plantation. This is why we keep our FSC certified timber sourcing to Australia and New Zealand wherever possible. We’re regularly updating our timber products list. So if you have a product you’d like to use or have a question about why one timber is preferred above another, we’re always happy to have a chat. Through future EDMs, the DRC will do more to share the information we gather so that together we all have a hand in sourcing timber products as responsibly as possible. How much does it cost to up the energy efficiency of a home and will you get bang for buck? Tony assumes a conservative value of $30,000 and shows that households are better still off financially from day one. By 2050, 58% of or housing stock will have been built since 2019, so we need to start working towards stronger new housing standards now, before the next NCC update. Today, zero-energy bill houses, tomorrow, zero carbon! Presented by Bill McCorkell & Indi Hangan, Tiny homes and prefabricated houses are revolutionising home architecture and construction. They offer compact, fully functioning, transportable dwellings that can provide off-grid eco-friendly low cost home solutions. Sustainable House Day gives visitors a chance to inspect firsthand houses that have been designed, built or renovated with sustainability in mind as well as the opportunity to talk to owners and receive unbiased advice.